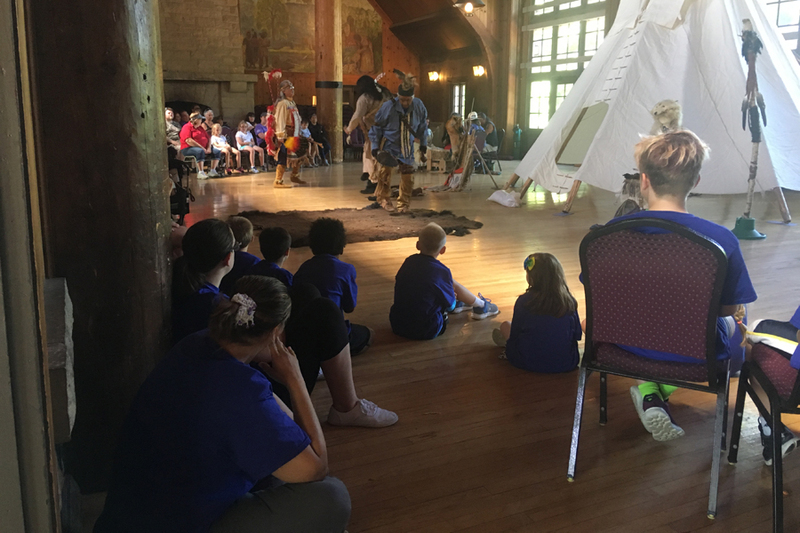 Black Hawk State Historic Site is a 208 acre park managed by the Illinois Department of Natural Resources that showcases the fascinating cultural history and diverse natural resources of the Quad Cities. 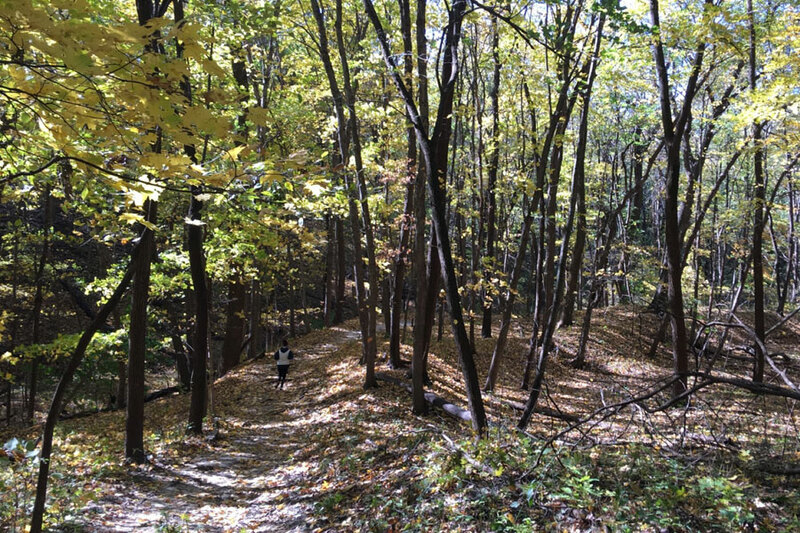 Explore hiking trails along the Rock River and through the nature preserve. 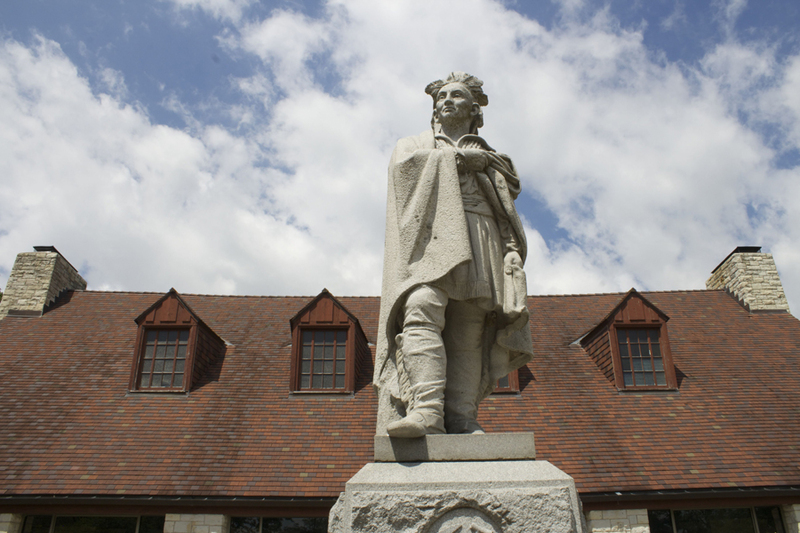 Discover the history of Black Hawk and the Sauk and Meskwaki people by visiting the John Hauberg Indian Museum. Reserve the beautiful Watch Tower Lodge (built by the Civilian Conservation Corps) for your next big event. 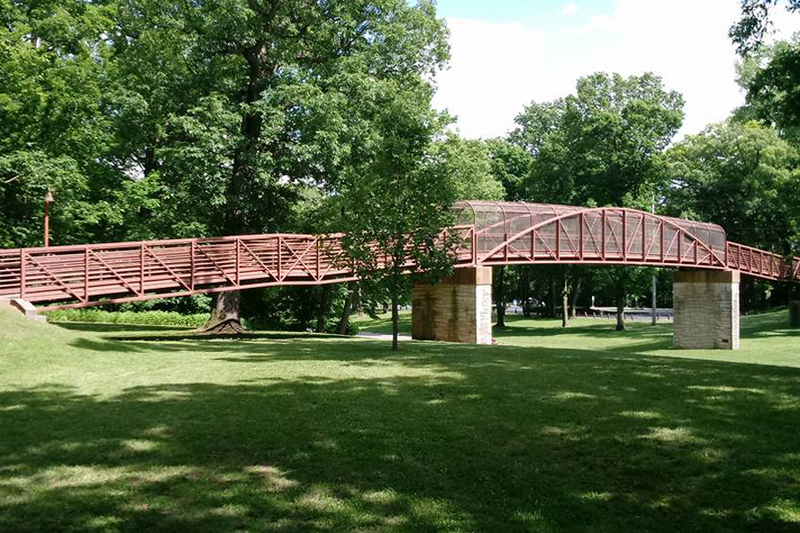 The 44th Stroll Through Springtime will take place on Saturday, April 27th from 7 a.m. until noon at Black Hawk State Historic Site, 1510 46th Ave., Rock Island, IL. Birds will be the focus of groups from 7-9 a.m. Birders will meet by the Black Hawk statue at the Watch Tower Lodge. Expert leaders will help to locate both resident and migratory birds. Participants can bring binoculars or use the binoculars provided. At 9:00 people will move into the Lodge for refreshments, including wild violet jelly, and a short program at 9:30. 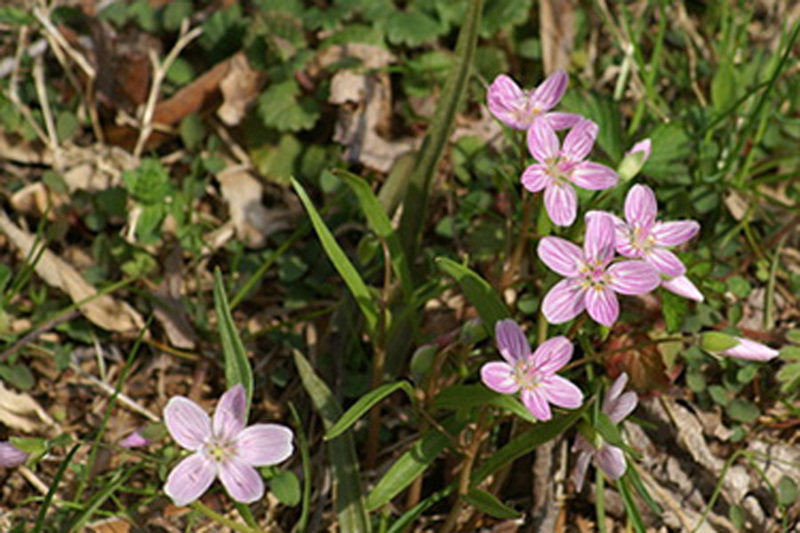 At 10:00 in small groups, participants will observe and identify wildflowers. The Black Hawk forest is designated as a Nature Preserve and has many native species of wildflowers. You are invited to bring your Indian relics to Black Hawk State Historic Site Watch Tower Lodge on Saturday, April 27th from 2-4:00 pm for identification by experts from the Quad Cities Archaeological Society. After a short slide presentation on how archaeologists can tell the age, function and cultural affiliation of Native American artifacts based on their shape, size, and material, the experts will examine your artifacts. A time line display of Quad City area artifacts from the earliest 13,000-year-old Clovis points to the 19th century Sauk and Meskwaki Indian tribes will be on display—including examples of spear and arrow points, knives, drills, axe heads, pottery, beads, ornaments, and other unique artifacts. This program will be for archaeological identification only, not for appraisals, trading and selling of artifacts. The Hauberg Museum will be open for viewing. The program is free and open to the public, and a joint effort of the Quad Cities Archaeological Society, the Citizens to Preserve Black Hawk Park Foundation and Black Hawk State Historic Site. Join biologist Janet Moline as she shows how to raise monarchs from egg to adult. Sunday, April 28th from 2-3:30 at the Watch Tower Lodge, 1510 46th Ave, Black Hawk State Historic Site in Rock Island. Free. 309-788-9536 or www.blackhawkpark.org for more information. Help remove exotic invasive plants from your natural areas. Learn how to identify and correct removal tactics so that you can combat this destructive species in your area. We will be tackling areas throughout the north woods. Meet in the A frame shelter off north parking lot (North side of Blackhawk Road, right on 15th, then take next right into parking area) All ages are welcome! Wear long sleeves, pants, and close-toed shoes. Contact Candace at 309-788-0177 for more information and to register. Celebrate the 5th year of this annual June event in the Quad Cities. Museum Week was created to celebrate our region’s museums, their amazing collections, stories, history, and their importance to communities. In fact, with 14 participating museums to visit, there is something for everyone and for every interest. During Quad Cities Museum Week, local museums offer discounts, special events/exhibits, or tours, making it the perfect time for families and friends to get out and explore. Each participating museum features its own unique theme, history, galleries, and exhibits making each experience different. Come on out and explore! Be sure to tweet and post about your Museum Week experiences using #qcmuseumweek. To find out more about the event, the scavenger hunt, geocache, and all our museums are offering, go to www.qcmuseumweek.com.